You may want to know more about Cusco after doing an Inca Trail or a Salkantay Trek or an Inca Jungle or a Lares Trek in 2019. It is the situation of many visitors from around the world. Here we suggest excellent extra tours in Peru and also activities that you can do by yourself, and some are free! Cusco City Tour: wonderful and very requested tour, we offer daily departures. It starts in our historic imperial city, touring the Koricancha Temple, the main religious center of the Inca period. Then we visit the imposing Cathedral of Cusco, of medieval Spanish architecture, located in the Plaza de Armas. It also includes the fabulous fortress of Sacsayhuaman and the archaeological sites of Qenqo, Pucapucara and Tambomachay, all of them close of the city. With professional guide and comfortable tourist bus. Sacred Valley of the Incas: after knowing the route from Cusco to Machu Picchu on the Inca Trail 2019, complete your knowledge about our history with this extra tour, touring a region that was also used as a territory of the Inca nobility (Machu Picchu was a luxury holiday resort). The Sacred Valley has excellent climate, imposing landscapes and like the citadel, the intense peace and natural energy of the Cusco heights. 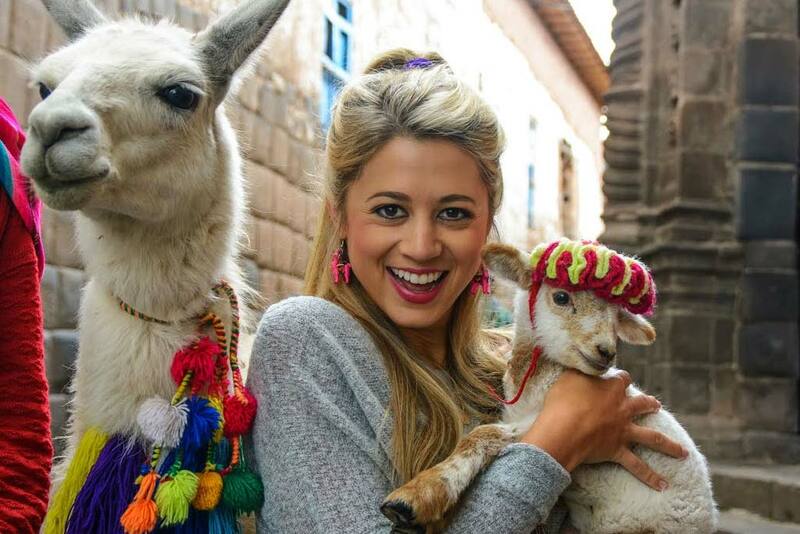 You will visit the spectacular ruins of Pisac and Ollantaytambo, its inhabitants and hamlets that maintain many of the ancient traditions, the natural beauty of Urubamba and its typical foods, another resort of the Inca nobles (Chinchero) and more attractions. Also with daily departures, tourist bus and professional guide. The Titicaca Lake region is on the rise among tourists, both national and foreign. It is a wonderful natural environment that includes the huge lake, its islands (Uros, Amantani and Taquile), the surrounding mountain range and the typical city of Puno. We offer excellent tours that include motor boat navigation by the lake, visits and complete experience of the culture in its islands, gastronomy and typical products in an almost totally rural environment, of much tranquility and pure air. Humantay lagoon 1 Day: Reach this lagoon walking from our campsite to this natural wonder that is becoming very famous internationally. It is a paradisiacal place located at 4,200 meters above sea level. The lagoon of beautiful blue color is also a mirror that reflects the snowy massifs that surround it, a place full of peace, tranquility and ecological strength. You can walk to enjoy the scenery and take excellent potos and videos. Rainbow Mountain (Vinicunca) – 1 Day: another ideal alternative for an extra tour. The terrain that covers this mountain has peculiar chemicals that give it a multicolored appearance, it is almost unique in the planet, the other one is in China. The one way walk from our campsite is around 4 hours, until you reach 5,000 meters above sea level, elevation of this tourist site. After enjoying that impressive place, the return begins, of shorter duration. As exciting as a stretch of the Inca Trail. Plaza de Armas of Cusco: it is an almost obligatory place for all tourists and you can enjoy it for free. Tour and photograph its spectacular churches of medieval European architecture, be within walking distance of restaurants, bars, shops, art galleries, etc., enjoy the lively, cosmopolitan atmosphere of the Plaza and sit down for a while to enjoy the whole landscape. The streets near the center of the city are also very visited by tourists. Bars and Restaurants: you should not forget to enjoy the extraordinary Peruvian cuisine: juices, sandwiches, soups, desserts, beers and other alcoholic beverages typical of our country will make your stay here a much better experience. Only with the exception of doing it after the Inca Trail so as not to affect its physical form, due to the low level of oxygen. Check our website and be encouraged to do extra tours after the Inca Trail in 2019! 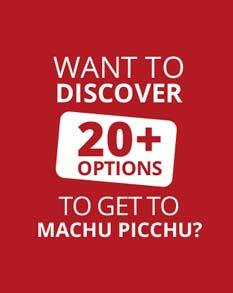 Make the best experience of your stay in Peru!